So I’ve had my gecko a little over 2 months now, and never had issues with him eating. The past two days he’s been shedding so it was understandable that he didn’t hunt any crickets I gave him, just mealworms I put in front of him. Now he’s done shedding and is very lively but will not eat. He kind of smells what I put in front of him then backs up, and I’m pretty sure it’s not an impact ion because he’s pooped recently (I think)...could it be a serious thing or should I just give him a couple of days? What species is your gecko? We have to know, in order to give you the correct advice. I'll move this to the leopard subforum, you'll get more help there, than in a 'generic topic' forum. 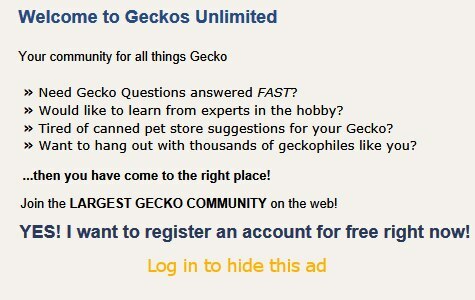 I have a lot of leopard geckos. They are very hungry in August and as soon as we hit mid September, many of them lose most of their interest in food. I think it's a light thing, not a temperature thing because it was 79 degrees here today. My general rule of thumb is that if the gecko is active and not visibly losing weight or having chronic diarrhea, just keep offering and don't worry if it doesn't eat much sometimes. Thank you! And yea he was very hungry today, ate plenty and has been active recently so I’m not worried anymore! Thanks for sharing the article, Aliza! Though I don't have leos, and am not breeding my geckos, it was fun to read, and a good reminder not to panic over things. Thanks. I had a lot of fun writing it.